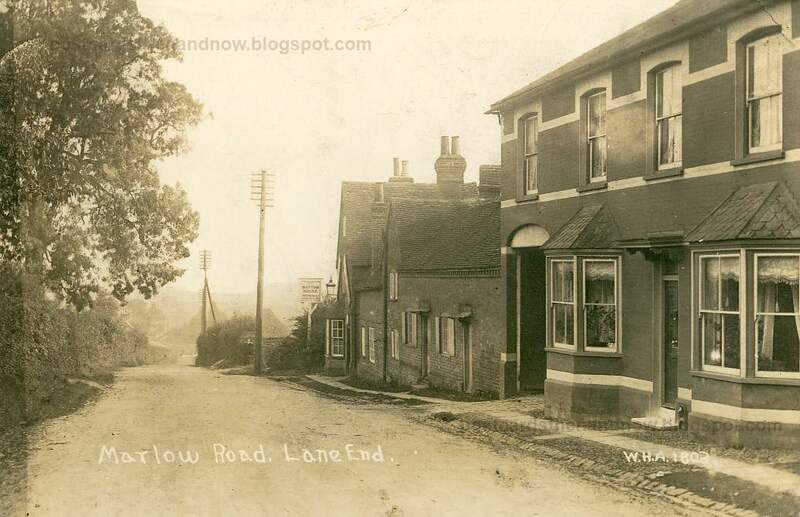 Lane End, Buckinghamshire, Marlow Road circa 1913. Lane End is a village to the west of High Wycombe. The terraced houses on the right have lost their stable entrance and gained a ground-floor window. A gap now appears next to that. The charmingly named pub 'The Bottom House' is now a private residence. It is a listed building and the building has retained its old name. For another old postcard of Lane End have a look at this post. Postcard by W. H. Applebee of Ashford c1913. Click the postcard to enlarge.